Triggers; what are they and how do we work through them? What I’ve learned about these horrible little bugging annoyances. A factor that initiates and aggravates a behaviour or response. a substance, object, or agent that initiates or stimulates an action. For ‘Survivors of Trauma’ triggers are any combination of person, place, thing or action, which sets off a remembered emotion or fear. These are instinctive reactions ingrained in our system from the attack/traumatic situation, which caused the original terror. Just like we have remembered happy moments, which set off laughter or tenderness; compassion, we can also have negative and fearful moments. In fact; as my therapist shared with me, ‘When the trauma is severely impacting our body will gravitate strongest to the negative memory before a happy memory because the negative emotions are much stronger.” We have to challenge ourselves in working through our triggers. One of the first ways in this healing process is understanding what they are and how they work. Know that a trigger will lose its initial power as you first accept the fearful reaction; note here I highly suggest if the terror is extreme then please break down the memory and the challenge of the trigger in sections. Please do not run headstrong into that which could result in a permanent break in our psyche. In facing little bits of the trauma at each step, we will find it easier to breathe through the trigger, rather than instantly respond; we can learn to control our reactions just like we do with anything else in life. Its important to have patience with yourself or the person you are supporting during these challenging times. It may take years to finally be able to gain control over the trigger, rather than the trigger controlling you. Sadly the how and when of your control really depends on the person themselves; what they can tolerate, how badly they were traumatized, what specifically was done, if it was a repeated trauma, then how often did it occur and how long did it last overall? All of these go into play when we are learning to deal with these instinctive reactions, the emotions suddenly felt and the memories which take over our thoughts. Society doesn’t know that you are sensitive to loud noises, or that you get sick when you get around the smell of a certain cologne. Even our family & friends would rather hear how you get ‘turned on’ by a certain cologne or giggle everytime they see you jump out of your skin from being startled. We have to be able to cope in society’s rules. Not everyone will be sensitive to our responses, which means we have to take away the trigger’s power and learn how to control our reactions & actions. Now you can pretend it didn’t happen; you’ve already been doing this for years and it hasn’t helped you any yet. So instead, try to recognize the physical impacts of your body’s reactions, (tense muscles, clenching teeth, holding your breath, heart pounding, other types of specific body pains). Understand there is something about your surroundings at that moment that just hit a nerve. What nerve? Why did I react like that? What is it I’m afraid of in this situation? Try to connect with the emotions and understand the memory which is flashing through your body. Sometimes we may not understand the connection, because as a mode of self-protection our mind might have tried to completely blank out the memory. However, if you come from a trauma filled home or life, then you can pretty much put the dots together. You don’t need to know every horrific detail in order to take back control of your actions and reactions. Keep in mind you survived something, something which must have been excruciating, but you survived it. In becoming adults and parents, we know there is a huge level of responsibility, self-responsibility is part of that development. For certain situations in life society doesn’t accept your wounding, no matter how terrifying. What if you are a parent who is triggered by something that either happens to YOUR child or something YOUR child does? You don’t want to freak out in front of them, so instead we have to take responsibility for our reactions, let it out at a more opportun time. While organizations like N.A.M.I. are developing and thousands are discussing the mental health of adult survivors of child sexual violence, there is still more which needs to be done, so be patient with yourself and with society. Explain to yourself just as you would to someone else. Comfort yourself and congratulate yourself for your accomplishments, just as you would do for others. Continue educating as many people in our circles as will listen. The more we understand, the more we accept and the better we are able to assist victims today. Living in society is a lot different from sitting in our homes with our family. To LIVE in society means to work, run errands or be out in the public rules on a regular basis. Being out among friends, enjoying a meal out, taking a walk; these are all things which make our lives enjoyable. What if you suffer from the issues of ongoing triggers, or you have your own societal fears; the feeling of constant shame or judgment by others? You can see how this would be a problem. Often times we are out doing something quite pleasurable in society, escaping the isolation of living with these pesky flare ups; this is when we are suddenly faced with something that sets off our reactions. We aren’t expecting it to happen, in fact we would rather it didn’t spoil our good time. There are some triggers which may take a few seconds before we realize it is setting us off at all. Many times if the trauma itself was a way of life then it may well be a trained behavior, so the initial traumatic response may not be as intense, but it may grow in momentum. It may be three days later when suddenly the memory has us swirling, it has taken over our thoughts and set off a series of tensions & fears, which may be completely incapacitating for a few days or more. I’ve seen this occur within adult survivors of child sexual violence time and time again. Recognize the trigger as a trauma induced memory or reaction. When we look at it logically rather than emotionally (even if at first it is emotional; try taking a breath, snap your fingers, step out of the moment and regroup). As we learn to recognize this in connection to a serious perception of fear, then we can begin working through each reaction or memory of that specific trauma. This can be done on your own through simple daily tasks in life rebuilding skills to help gain back your sense of self-confidence, prove your value to yourself in completing little chores and set goals for yourself that help you in the rebuilding steps. However if you are having difficulty you may want to seek out a support group or mental healthcare professional for guidance. Understand that some of this healing may involve teaching ourselves a completely new process of life. Meaning of course, that we completely change our living behaviors and learn to re-do something without the trauma being a part of that specific behavior, such as some of the things I’ve challenged in my own healing. These things may seem pretty stupid to others, but for my life in extreme horror they are very real issues. One of the things I had to completely re-teach myself to do in life, driving. I learned how to drive beginning age 11 driving drunk stepfather around in the country while he repeatedly attacked me with sexual actions, but ‘Don’t you dare wreck’. When I got to be about 17 I couldn’t drive without liquor or the use of marijuana to relieve the initial trauma. These days I still have issues when driving sometimes, especially if I’m in or around my hometown area. However, today I do not have to be under the influence of any medications to get behind the wheel and take off for a day. We can’t work through the emotions if we do not re-visit the trauma itself. As we work through the imposed fear, we become stronger & the trigger loses its power. True healing comes when we begin changing the impact the trauma has on our life. Understand how it’s all connected, then share that knowledge with others around us. Explain it is proven to be worse than the recovery of our amazing veterans returning from battle. The one important connecting factor in these two realms is that our vets travel around the world to do battle with a weapon and a team around them; survivors of child sexual violence have only themselves, there is no weapon to defend from an attack, an attack can happen on any level and at any moment, the attack can be a repetitive lived action, which most commonly is an attack from their direct parent/caregiver; the one person who has complete control by law and has the responsibility to make decisions about their daily life and how they are raised. In this type of harmful environment it normally doesn’t just happen for a period of time, but rather continues throughout the entire lifespan. This is when the end result is Complex Post Traumatic Stress Disorder and recovery takes an extreme personal commitment. May this writing help you understand a bit more about these life changing & impacting difficulties, which will invade our children’s lives if healing and support are not achieved. We as a society can continue to pass forward all of this dysfunction or we can begin to understand all that’s connected and how it directly affects our personal development, then begin teaching our children about what it means to truly live strong and to live safe even inside their homes. Healing begins when we make the effort to understand!! Its a Family Affair -Secondary Wounding of PTSD and Family Violence 02/24 by Butterfly Dreams Abuse Recovery | Self Help Podcasts. Tonight my friends we welcome two special guests on ‘Its a Family Affair’ on Butterfly Dreams Talk Radio. You and your family are invited to join in our conversation as we discuss Secondary Wounding of Family Violence and the ‘Prisoner of War’ focus on the victims who endures in silence without a weapon everyday, especially our children who don’t even have the right to say ‘No’. Conversation starts at 9pm eastern time, let’s get our thoughts and conversation points going on this link, or set your REMINDER here and join in with us live tonight. Call in at 347-215-7754 or connect with our awesome Butterfly Helpers in the chatroom. There is a change in the views of these actions and it is all of those who have survived to tell their story who are the greatest teachers we will ever have. Believe in the studies and the truth of how these types of tolerated acts have been endured with enforced silence, but today you are the key to that change. We can empower as we teach our children a better way, no longer do we have to suffer in silence or endure the pain day after day. There is hope & help!! Chat with everyone later. How has violence impacted your life or your children’s perception of safe behaviors today? This is an outright look into some of our nation’s law enforcing CPS, not all are working in a very backwards process but most certainly there are many who are. I realize we have very few case workers throughout our country, at least compared to the number of REPORTED CASES (specificially 33,000 workers vs. 3.7 Million Reports in 2011) of course this is just what we have on file. Many times it is up to that specific call taker who receives the report whether or not help will be provided at all. There is a lot of reforming we need to do in this country and reforming our family protective courts system is a big part of that entire measure. You’ll find this blog filled with some powerful information about our CPS and children stolen or intervened for medical reasons. Definitely a blogger with an open opinion and I believe I like the way he is addressing this issue. These are discussed cases where no crime at all has been charged against the parent, the children were taken for what was determined to be parenting decisions about medical care, what one doctor suggests compared to another, then compared to the states opinion. Check it out I’m sure you’ll have an opinion, I do; while you’re checking out this blog on the survivorsjustice blog, also take a moment to check out the state by state comparison of child maltreatment reports across every state. Sometimes there can be a underlying reason for the intervention, we must consider what we see reflected in the children themselves. Talk with them and allow them a voice to decide whether or not they are actually being harmed. How about if we focus on what is best for the kids, rather that our job security and family court income gained through these ongoing injustices. just sayin all, give a kid a voice!! Imagine this scenario. You’re sitting in the living room with your daughter. Suddenly, a large man shows up on your porch. He starts banging on your door and demanding to be let inside. You don’t comply. He goes around to the side of your house, smashes a window, and crawls through. You tell your daughter to run and lock herself in her room. It’s too late. The man grabs her and starts to run off. Are you imagining this? Have you put yourself in this situation in your head? Now, what do you do? How do you react? Survivors World – Understanding YOUR Trauma 02/19 by Butterfly Dreams Abuse Recovery | Self Help Podcasts. YOU DO NOT HAVE TO LIVE LIKE THIS, IT IS POSSIBLE TO SEEK & RECEIVE HELP, PLEASE RESCUE YOU TODAY!! Working through your recovery and understanding your trauma, here are some great daily steps you can use to take back your power!!! Artwork via Michal Madison Art!! 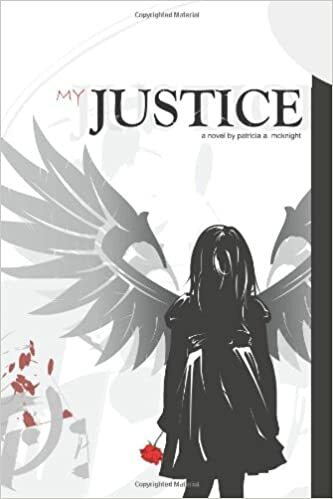 Have you taken a look at Butterfly Dreams Abuse Recovery lately, there is a full page write up of reviews, statements and work since deciding to be an advocate against violence and abuse, hope you give it a look, get your copy of ‘My Justice’ and then pass it all on to a friend. Sharing information to aide in the recovery, rebuilding, and understanding process of the horrors which most commonly occur right in our very own homes.